Aside from the towering, active volcanoes that stoically rise behind town, nothing has helped shape Kona more than the coffee crop and its farmers. Plantation workers from around the globe arrived in Kona in the early 1900s to work sugar, coffee, and fruit farms, and the Kona Coffee Living History Farm is set on the grounds of the authentic and historic D. Uchida Coffee Farm. Having arrived from Japan in 1906 to work in a sugar plantation, Daisaku Uchida saw opportunity in coffee and leased this 5-acre, Captain Cook farm that is little changed today. When the lease on the farm was finally up, rather than see the area developed into residential homes, it was donated to the Kona Historical Society as a means of preserving this vital chapter of Kona’s plantation past. 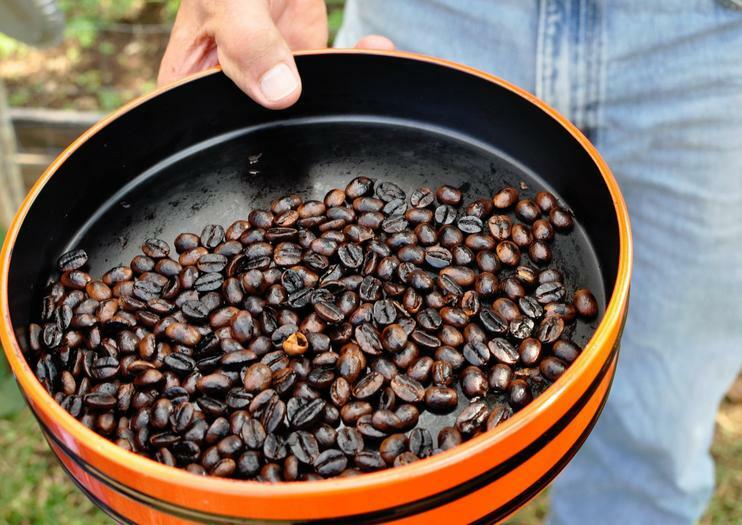 When visiting the Kona Coffee Living History Farm today, walk through the farmhouse where coffee was processed and learn the tricks of the trade, and also experience the daily life of pioneering farmers. For travelers who loves history, culture—and coffee—this is a truly an immersive and educational way to experience Kona’s past. Insider's Tip: Try samples of fresh macadamia nuts when you first arrive at the farm. Also be sure to take advantage of the freshly brewed Kona coffee. Most tours are self-guided, though there are also occasional guided tours with lively, costumed interpreters.